The Australian indie-poppers attain a more rarified air on their second album. Not every album that seems like it would reward repeated listening actually does. Some albums that seem inscrutable on first listen remain inscrutable on 11th listen. Whether they are overwrought or under-realized, some albums are, in the end, just not worth the effort. Which makes it even more special when you find one that is. 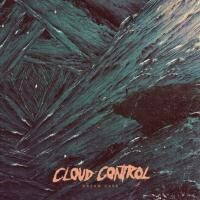 Dream Cave, the second album from the Australian quartet Cloud Control, is a bit sly. After some atmospheric chanting, it opens with "Dojo Rising". The song is an instant classic slacker anthem. Trudging along with nowhere in particular to go, it is nonetheless captivating, moving, impossible to ignore. A steady midtempo beat holds things down for a whooshing, "flying cymbals" sound and well-placed electronic syn-drums. "I can beat myself down," assures singer Alister Wright, "you don't have to bother." The chorus, with its simple, descending keyboard tone, is like watching a car fall off a cliff in slow motion. Beautiful, crushing slow motion. "Give it to me easy / Give it to me hard," Wright says, admitting he is simply after an easy good time. Wright doesn't seem too concerned about the upshot. "Then I gotta break your heart / Prob'ly should've told you from the start / But I'm lazy / And I don't want anything." "Dojo Rising" is not satisfied with the wink-wink ennui of low expectations. Rather, at heart it's a song about the sadness of thinking your low expectations are cool when they're not. The song is so easy to listen to, hum, and love, that it belies the complexity of the rest of Dream Cave. It's a strong candidate for song of the year. Nothing else on the album sounds much like "Dojo Rising" at all, and at first that's a bit of a disappointment. But after a few more listens you realize that with this album Cloud Control have entered that exclusive fraternity of bands who can combine the harrowing and the enthralling, the melodic and the dissonant, the ugly and the beautiful, without a hint of seams between the disparate forces. At different times, Neil Young, Pink Floyd, Lindsey Buckingham, Radiohead, Animal Collective, and others have achieved this alchemy. Like the best work from those artists, Dream Cave is one of those albums that unfolds like origami, each song revealing itself as its own unique world within an overarching, carefully-crafted universe. The first Cloud Control album, Bliss Release, relied a bit too much on the eccentric yet melodic Robert Forster-penned songs from fellow Australians and cult favorites the Go-Betweens. Dream Cave is far less self-conscious than its predecessor. "Promises" is bold, grimy new wave, with a barking Wright sounding like an entirely different vocalist than he does on "Dojo Rising". "Moon Rabbit" has a flower power show tune vibe to it, with Wright and keyboardist Heidi Lenffer engaging in some nice true harmonies. Lenffer takes the lead on the swirling, magnificent "The Smoke, The Feeling", the one Dream Cave track that truly matches up with the "dream pop" label the band are often given. The more immediately harrowing stuff comes in the form of the downcast Euro-disco of "Island Living" and the bad-trip drone of "Tombstone". Yet even these tracks reveal their own moments of beauty. And, while the almost-defiant "Scar" shows the band can do radio-friendly indie pop with the best of them, the song, like much of the album, struggles with self-examination that borders on self-loathing. By the time it all fades into the lingering sound of water dripping off stalactites at the end of the tender, almost doo-wop title track, Dream Cave has taken you on a ride with far more jolts and twists than "Dojo Rising" might have suggested. The brilliance of it is it's a ride you can't wait to invest the effort in again.